Firstly create your Colman’s Cheddar Cheese Sauce by adding milk to the mix and heating in a pan. Steam the sprouts for around 8 – 10 minutes and place in an ovenproof dish. Press the back of the sprout with a fork to lightly squash each sprout. 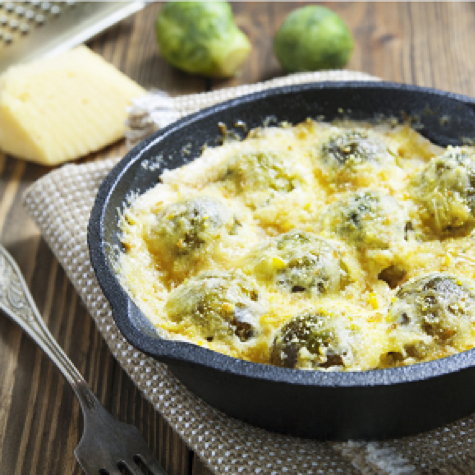 Add some salt and pepper if desired to your Colman’s Cheddar Cheese Sauce mix and pour over the Brussel sprouts. Sprinkle the wholemeal breadcrumbs over the top and bake for 20-30 minutes in a preheated oven at 200°C,190°C fan, Gas mark 6 until golden and crispy on top.